A keen hill-walker the fells of the Lake district is one of Andy’s favourite places and being so close to hand he is able to visit the area even on short day trips. These trips have been used to gather the required photographs for the project as well as ideas for other Lake District paintings. 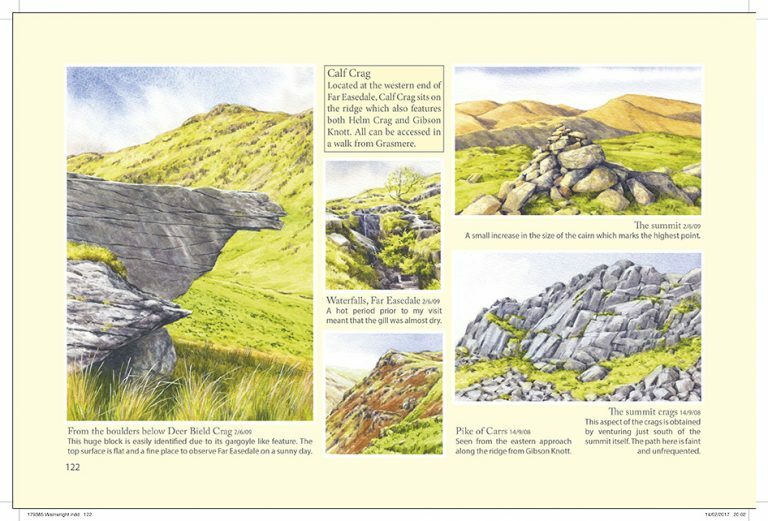 Due to the number of illustrations, more than one route on each of the 214 fells has to be undertaken and of course the weather conditions have to be favourable to allow the scene that A.W. depicted in his sketches to be viewed by Andy. 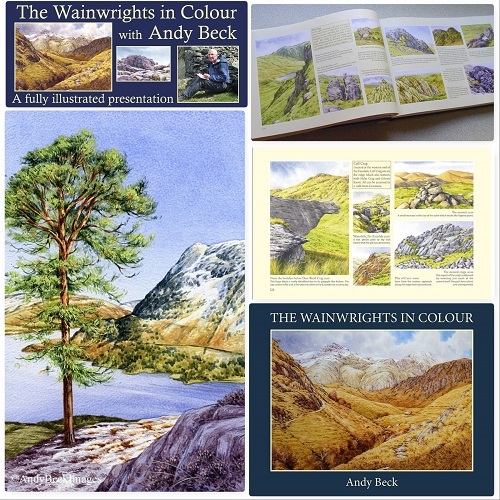 The process of this project has been on going for the past ten years and a 17 minute DVD on how Andy completed just one of the fells in this major undertaking is included with the book. This book is limited to just 5,000 copies and will come directly from the author. 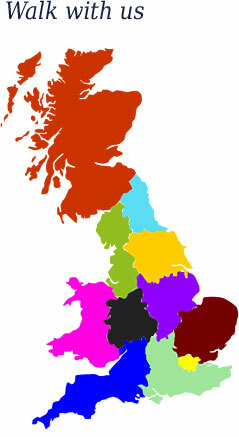 ONLY the following link should be used to purchase it. 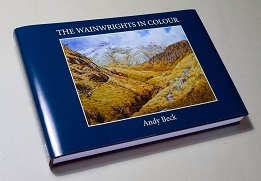 A must for any Wainwright enthusiasts to complement their collection of the famous guide books..Andy's mammoth task is truly amazing both for his single minded venture and his skills with watercolours. This book, due to its limited issue is sure to become a collectible item in the future, so don't delay in making sure you get one before they run out - you will not regret it! 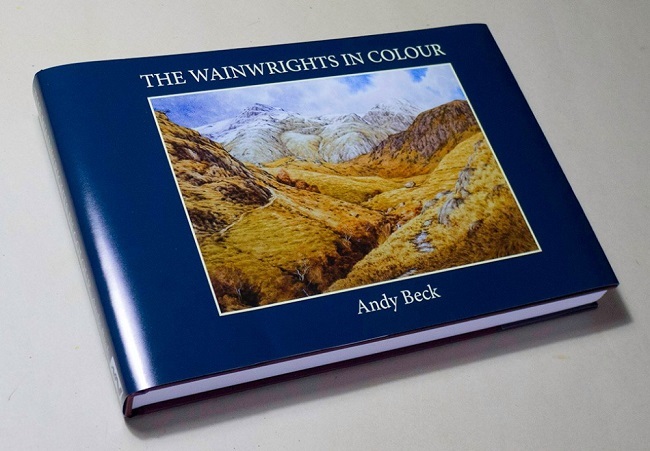 The Wainwrights in Colour is an incredible book and fully reflects the passion, effort, enthusiasm and talent that Andy has put into creating a new Lakeland classic. I cannot recommend it highly enough. 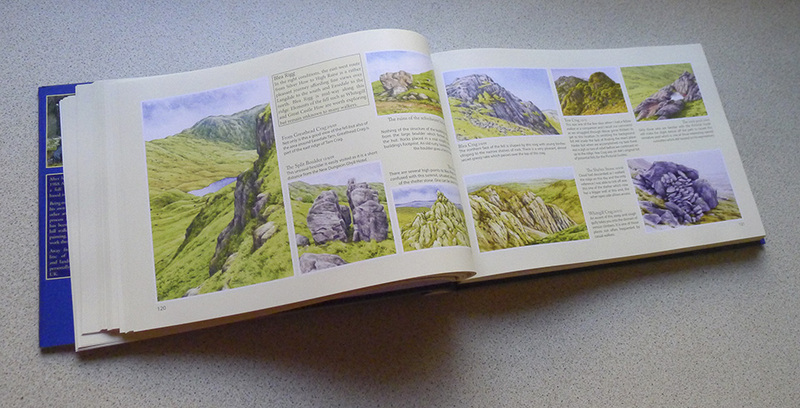 It is the closest anyone has come to matching the scope and depth of AW's pictorial guides and the perfect contemporary companion to the originals.This is a 'Must Have' for any and all Wainwright fans. This has pride of place on our coffee table, in our conservatory where I can look at it easily and show my friends. 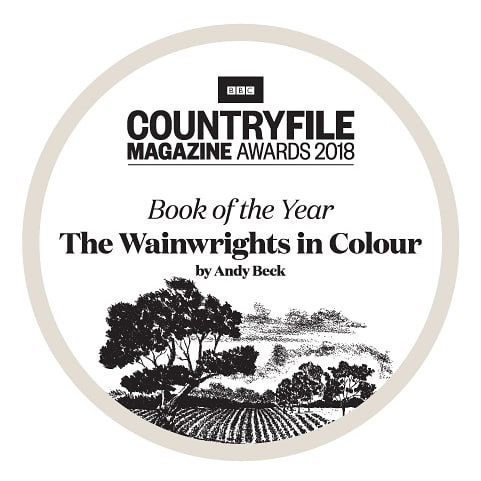 This truly is a most beautiful publication, a must have for any lover of Wainwright and The Lakes, so proud and so happy for Andy, congratulations, this is a work of art and has been worth the wait, thank you!